This lesson plan is a great way to really draw students into The Giver as they think about the importance of their own experiences and memories. Start by making a list of emotions – love, fear, anxiety, joy, jealousy, gratitude, etc. Get students to call them out, and make a master list on the board for them to copy into their notes. 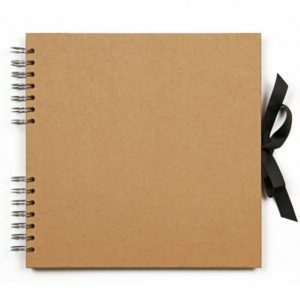 Ask your students to then create a Memory Book describing their own memories associated with each emotion. They can include written descriptions, photos, and drawings. Students can begin in class by listing the memories they want to include. They can then start writing their descriptions and collecting their photos and other elements at home. When the books are complete, ask each student to share a memory with the class, similar to how the Giver transfers his memories to Jonas. Remember, some of these memories might be intensely personal, so make everything voluntary, and make sure the environment is safe for sharing. Finish by discussing the importance of emotions and memories. What is the value of our memories? Would we be better off without some of them? How do we benefit from other people’s memories, as Jonas does in The Giver? For more great lessons, see my Ultimate Unit Plan for The Giver. Thank you so much for the great lesson plan for The Giver. I love how this helps students make connections between the text and their own experiences.